The statement signed by the countries' defense chiefs also says the Koreas agreed to withdraw 11 guard posts from the Demilitarized Zone by December with the aim of removing them eventually. Moon said Wednesday the plans for the committee are part of a commitment to remove "any threat that could cause war" on the Korean Peninsula. He was speaking following the Pyongyang summit with North Korean leader Kim Jong Un. 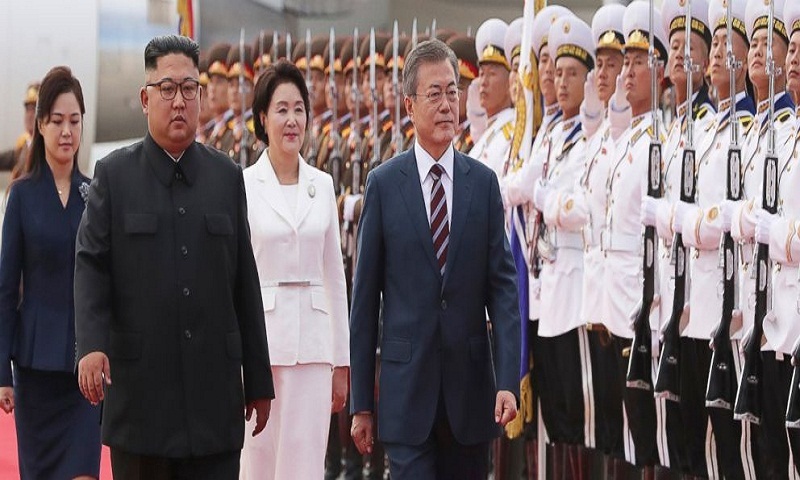 Moon's government has been stressing the importance of reducing the conventional military threat between the Korea to prevent accidental clashes that can escalate into a nuclear conflict. The Koreas first agreed to form a joint military committee in 1991, but the plans weren't carried out due to turbulent relations between the rivals. It says the two leaders also agreed to cooperate in major sports events such as the 2020 Summer Olympics. It didn't elaborate.